Look at her. She is gorgeous, healthy, inspirational, radiant, full of energy and good vibes. She is beautiful inside and out. Kimberly Snyder’s first book, The Beauty Detox Solution : Eat Your Way to Radiant Skin, Renewed Energy and the Body You’ve Always Wanted explains how anyone can follow her three-phase program to look better than they ever thought possible. By adopting Snyder’s approach to health and beauty, anyone can reap the benefits of cleansing their system: weight loss, radiant skin, lustrous hair, and better overall health. 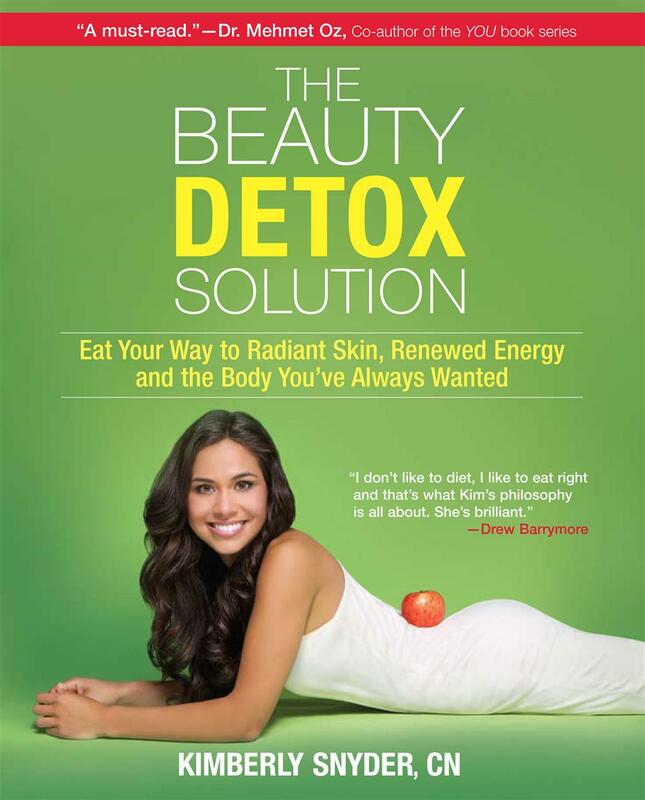 Learn the secrets of her revolutionary plan for cleansing the body of unhealthy, age-inducing toxins for a younger, healthier, and more beautiful you. ·Countless beauty takeaways on natural sources that can rejuvenate your body. I'm giving away TWO of these books and you can enter by following this blog and leaving a comment below. Giveaway is open worldwide. You have until April 10th 11.59pm EST to enter. Yes! I'm in, and have posted this to my blog also. Mukana myös! :) Onpas upea nainen, haluan samanlaiset hiukset kuin hänellä! I would absolutely love to win!! I so desperately want radiant skin like Kimberly! thanks for the entry--looks like an awesome read!! i need all the help i can get in this area, thanks for the giveaway! I follow Kimberly's blog and would love to win this book! I follow and would love to enter! Kirjan aihe kuulostaa kyllä todella mielenkiintoiselta, olen siis mukana :). I am a follower; great yoga pose!